The person responsible pursuant to Art. 4 (7) of the EU Data Protection Basic Regulation (DS-GVO) is HKR - Elektrotechnischer Gerätebau GmbH, D-72813 St.Johann/Upfingen, Gewerbestrasse 7, info@HKR.de (see our imprint). 3. You can of course object to the processing of your personal data for advertising and data analysis purposes at any time. 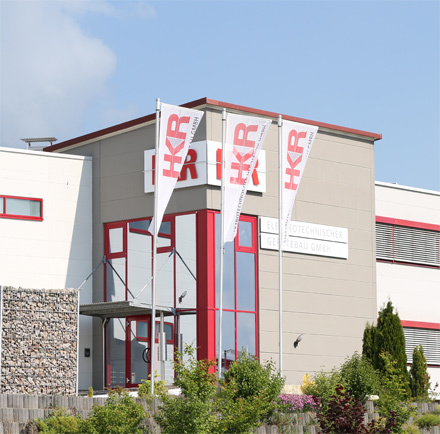 You can inform us about your advertising objection under the following contact data: HKR - Elektrotechnischer Gerätebau GmbH, D-72813 St.Johann/Upfingen, Gewerbestrasse 7, info@HKR.de (see our imprint). These advertising media are delivered by Google via "Ad Servers". We use ad server cookies for this purpose, which can be used to measure certain parameters for measuring success, such as the display of ads or clicks by users. If you access our website via a Google advertisement, Google Adwords stores a cookie on your PC. These cookies usually lose their validity after 30 days and are not intended to identify you personally. For this cookie, the unique cookie ID, number of ad impressions per placement (frequency), last impression (relevant for post-view conversions) and opt-out information (marking that the user no longer wishes to be addressed) are usually stored as analysis values. These cookies allow Google to recognize your Internet browser. If a user visits certain pages of an AdWords customer's website and the cookie stored on their computer has not yet expired, Google and the customer may recognize that the user clicked on the ad and was directed to that page. Each Adwords customer is assigned a different cookie. Cookies cannot therefore be traced via the websites of Adwords customers. We ourselves do not collect and process any personal data in the aforementioned advertising measures. We only receive statistical evaluations from Google. On the basis of these evaluations we can recognise which of the advertising measures used are particularly effective. We do not receive any further data from the use of the advertising media; in particular, we cannot identify users on the basis of this information.